Do you live in the west midlands? Has your television been damaged or broken? If so, don’t hesitate in contacting us today. 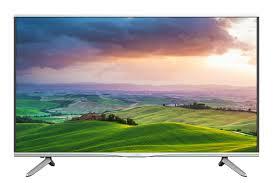 We are an established business who can help with your damaged television. And don’t you worry. We are not like any other local business with untrustworthy employees. We have the best of the best, highly qualified and trustworthy employees to handle your damages goods. We cover the whole of west midlands including The City of Birmingham, City of Coventry, Dudley, Sandwell, Solihull, Walsall and city of Wolverhampton. Once we come out, look at your device and diagnose the problem, we will let you know if we have to take your device back to the shop. If we do, then it will take us 2 to 4 days to get it back to yourselves. Our team consists of highly qualified engineers who can usually be arranged to contact you within 2 hours of your phone call. They will provide the highest possible standard of customer service and are strongly committed to offering great service at fair prices. Our engineers will come out to you to save you the hassle of travelling out to us. When we come to your home we will either solve the problem on the spot or will bring the device to the shop and repair the problem for you. We will try our level best to come out to you and get your device back to you in minimal time. We have a very reliable service and all our customers trust us completely to solve their problems. You can rely on us to solve any problem you have with your TV. If you need someone to come and have a look at your devices, call us today on 0121 673 2579.